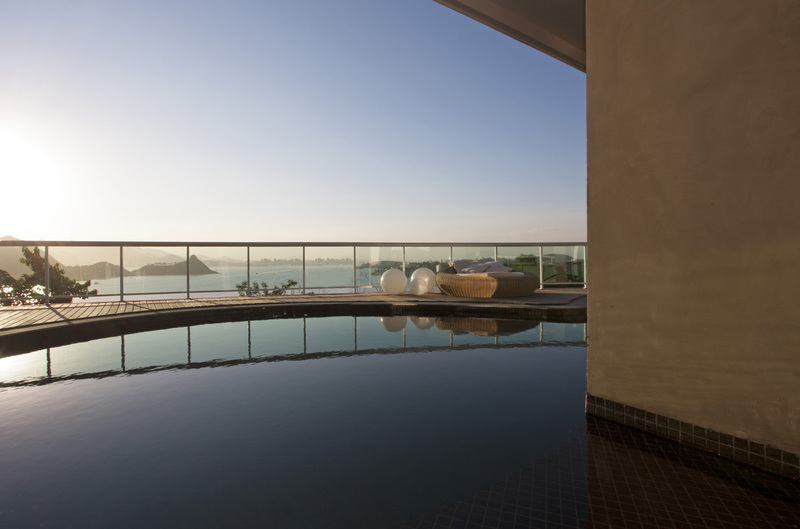 Sitting on a hill and facing Guanabara’s bay, this house had both the swimming pool area and the façade renewed. The black swimming pool in organic shape resembles a dark deep lake. On the background you can see the curves or Rio de Janeiro’s skyline and also the Christ the Redeemer on the top of Corcovado’s Mountain. Mirrors were disposed on the façade to reflect the beautiful view.